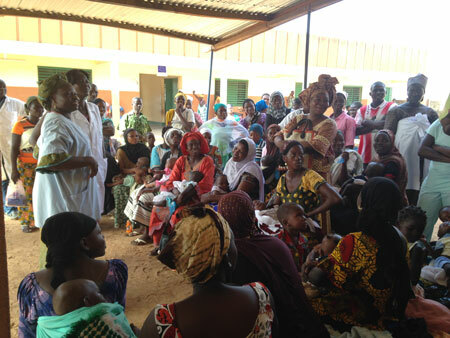 The objective of this project in Burkina Faso, led by Santé Sud and supported by partners such as the French Development Agency (AFD), is to provide every inhabitant of Ouagadougou’s targeted areas with quality health care and local social support, especially to mothers and children. The Compagnie Fruitière Endowment Fund wanted to contribute to the funding of this project led by Santé Sud, an NGO based in Marseille, in line with its actions to improve the living conditions of populations in developing countries, but in a geographical area that it has not covered until now: Burkina Faso. Santé Sud is an NGO created in 1984 by health professionals confronted with the limits of emergency aid and wanting to contribute to a sustainable development of health. According to its motto, “Act without replacing”, the international aid association based in Marseille supports health facilities, social structures and other associations in developing countries. Convinced that developing countries all have the potential to provide their populations with the necessary care and that it is up to them to choose the path of their development, its teams take care to support and train health care professionals and social workers who can treat the people of their country themselves. 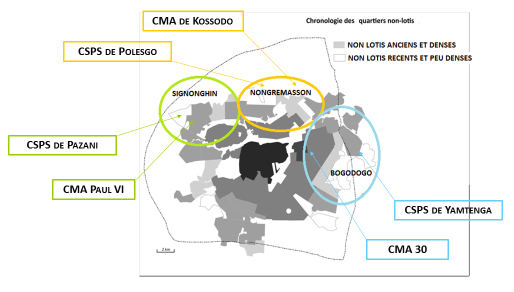 In Ouagadougou, the city’s rapid urbanisation has outstripped public services coverage, leading to the birth of squatter settlements where poverty indicators are skyrocketing. These vulnerable populations have significantly higher levels of child and maternal death and disease than in other urban areas. In order to reduce these inequalities of access to quality care, and thereby improve the health of mothers and children, the combination of social work and health action programmes is an effective solution. To carry out this project, 6 care models, 245 medical staff and 16 social workers are involved. Of the 75,000 people living in the 3 districts, 4,000 are particularly vulnerable. Signature of the partnership agreement on 20 November 2017 in Marseille in the presence of Nicole Hanssen, Executive Director of Santé Sud, Marie-Pierre Fabre, President of the Compagnie Fruitière Endowment Fund, and Anne Bourgognon and Christelle Lasme, Project Managers at the Compagnie Fruitière Endowment Fund.